July 28, 2017 - World Wildlife Fund camera traps captured some of the first-ever images of wild tigers in Bhutan. Photojournalist Emmanuel Rondeau traveled the country for three months looking for the elusive big cats. 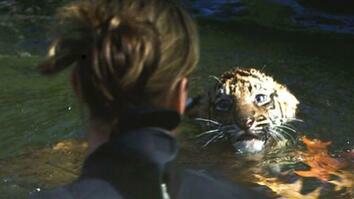 As few as 100 wild tigers are left in Bhutan. There are less than 3,900 left in the wild worldwide. 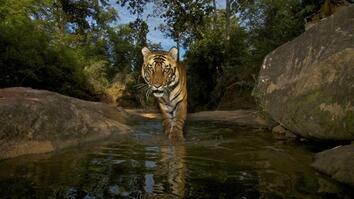 Tigers are considered endangered, and their numbers have declined rapidly due to habitat loss and poaching. 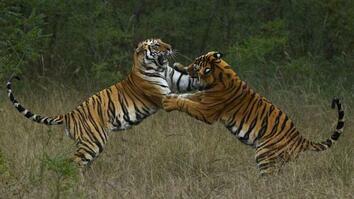 Can India's Tigers and Tourists Get Along? Capture Gone Bad? Was This Tiger Crushed to Death? Substance to Stop Oil From Sticking to Birds?